Cooking cabbage dishes such as corned beef and cabbage or cabbage with pork and potatoes were recipes learned from my mother, whose name is mentioned each time I cook one of these recipes… stuffed cabbage is another story. 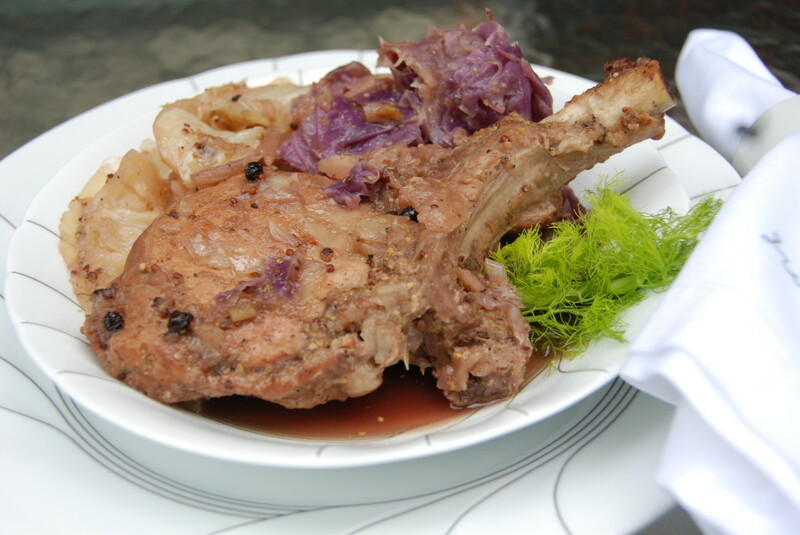 However, after living in Switzerland for a few years and traveling through the Alsace-Lorraine region to visit good friends in Strasbourg, there are new associations for cabbage recipes. Driving past field after field of cabbages was an unexpected part of the journey that required my French friends to help me make the connection to an area renowned for the best sauerkraut and classic cabbage, pork, sausage & potato dishes. 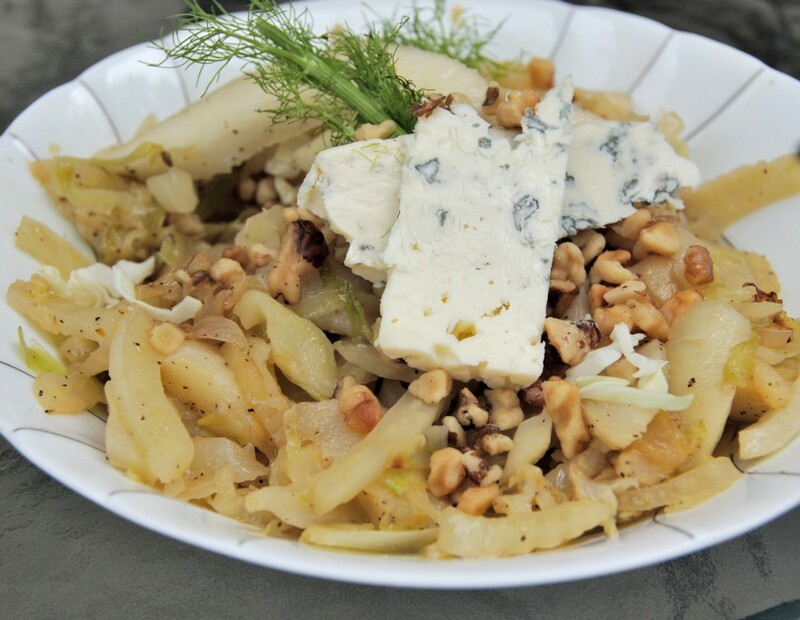 I decided to try a cabbage and fennel combination and believe they complement each other, both hot and cold. An amazing woman and beloved friend, Soeurette, was the inspiration for the addition of juniper berries to this recipe. Apparently, she always used juniper berries as a standard ingredient in this dish and as a native of the Alsatian region and a force to be reckoned with, I am a believer. Of the three dishes, this is the one that required the most tweaking. You know how it goes…more ginger, less ginger…adjust the mayo…add less honey…and so on. 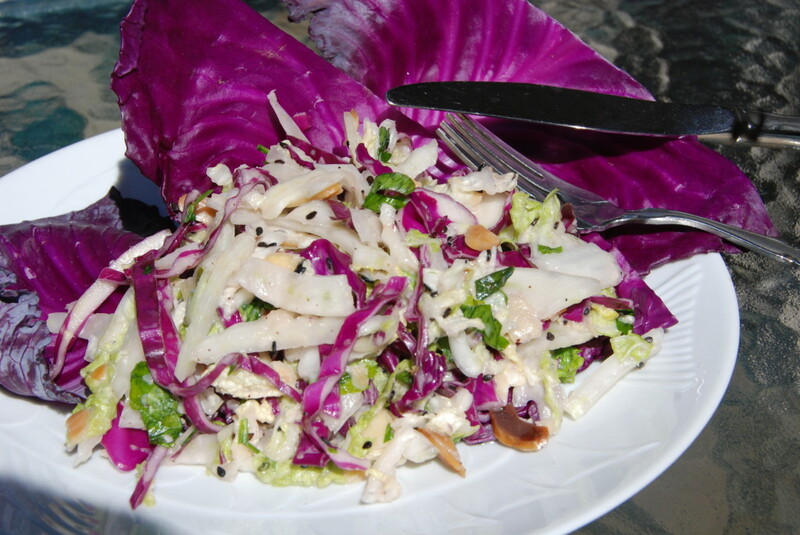 The original recipe called for the basil to be blended as part of the marinade, but I did not like the taste, nor the green-colored dressing, and prefer the flavor as an ingredient with the cabbage & fennel. By the last batch, I needed a break from cabbage consumption and left it in the refrigerator for a day or two. I was pleased to discover that it continued to be tasty, crunchy and not at all soggy. 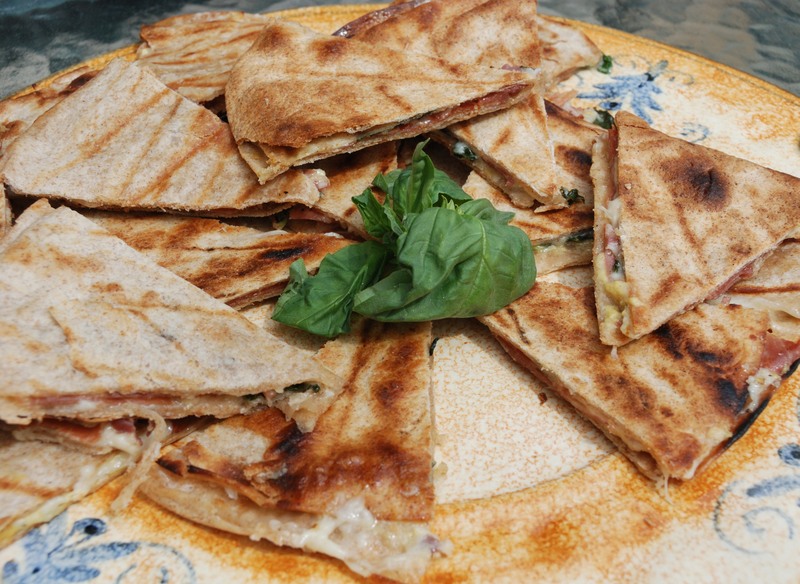 This recipe is satisfying as a substantial appetizer to a meal or as a light lunch accompanied by a slice of crusty French or Italian bread. 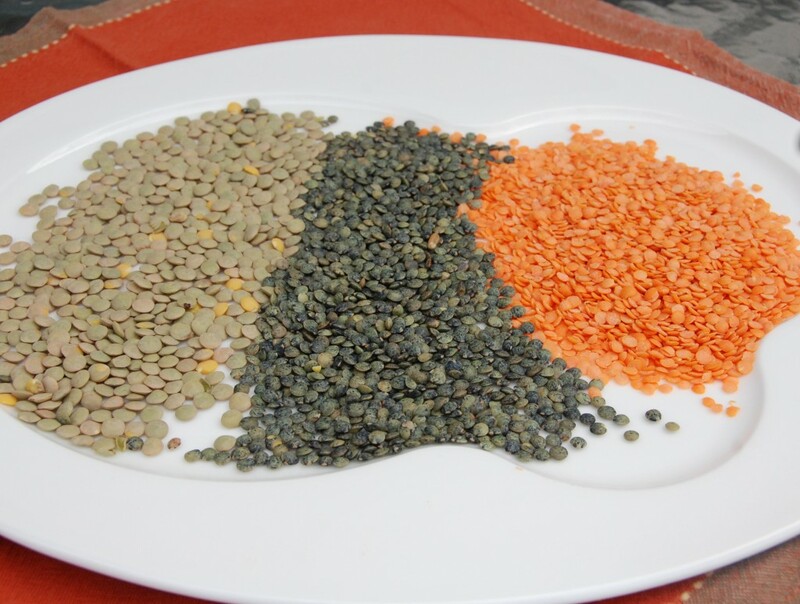 Along with new tidbits of knowledge I picked up while working on this blog, I also learned something about myself…I like lentils a great deal more than I thought. Two weeks of lentil recipes made numerous times provided an abundance for me, family members and a small group of patient and supportive friends. Although I am ready to move on to other foods, I never grew tired of eating them…probably not news to those who consider lentils a staple in their diet. 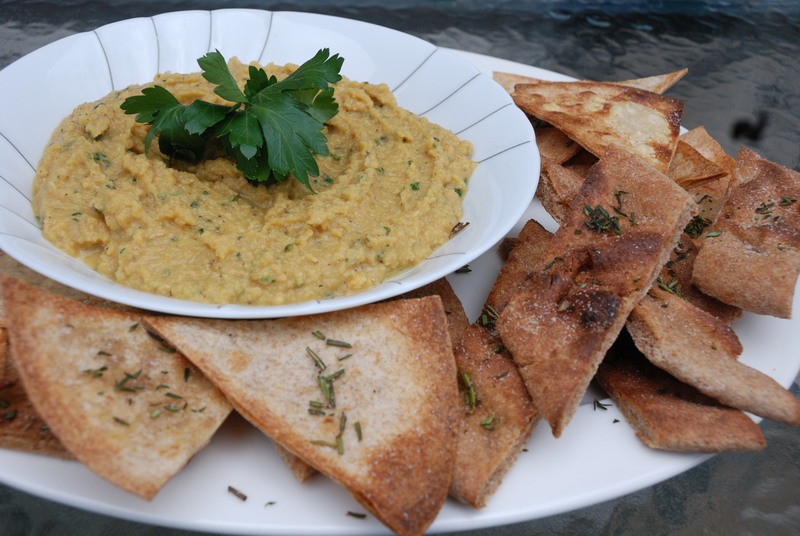 This set of recipes has been my most challenging thus far…maybe a ridiculous statement as this is my third blog, however my lentil cooking experiences have been limited to soups, an occasional salad and usually paired with ham. As I formulated ideas for recipes, I decided to attempt making the dishes vegetarian or at least my understanding of such…it is not a cuisine with which I am familiar and usually think in terms of substituting fats with extra spices. I would love some advice and suggestions from those who are the lentil eaters…happily, a group to which I now belong. By Indian food standards, not at all spicy hot, just enough of that flavor that it warranted the label… I hope. Instead of additional olive oil, The Greek yogurt was effective in pureeing the chick peas and seemed a complimentary ingredient with the chosen spices. Browning on both sides is all that is necessary because all the ingredients are cooked. Melted cheese, sliced tomatoes, pickles on a toasted bun give Mcdonalds a run for their money. The bit of sweetness to this combination is offset nicely by the peppery taste of a bed of arugula. 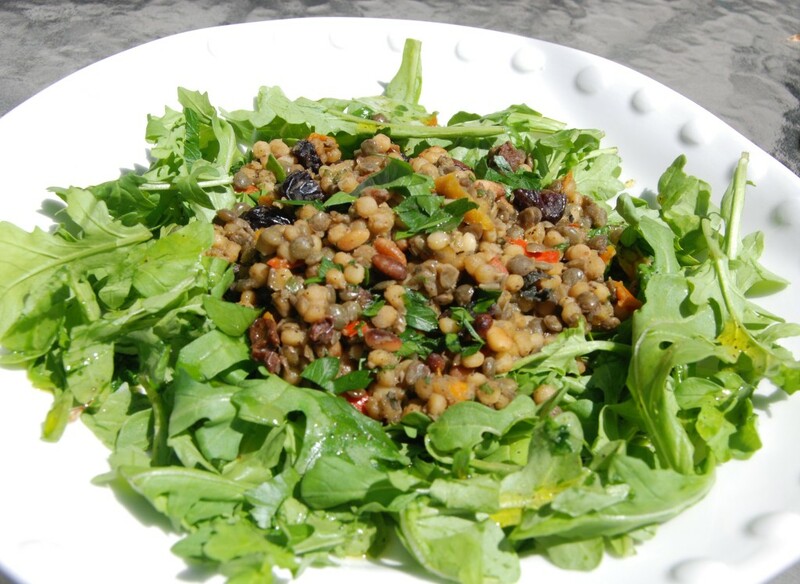 The French green lentils hold their shape after cooking better than others and may be tossed with the couscous without becoming mushy. Yes, I know the headlines on my blog posts are corny…just cannot help myself. And although food may be a serious matter, these appetizers are simple enough that you are able to tell a few jokes while making them. Along with my crab cake appetizers, one of these three usually makes it into the appetizer line up when I entertain. My preference is to use the outdoor gas grill, which is steps from my kitchen. Speaking of the grill, if you are able to find them, slotted aluminum liners do a great job preventing smaller foods such as scallops & shrimp or long thin items such as asparagus from falling through the grill openings. A grill pan works fine for these items if you are cooking indoors. Often ensconced in bacon, my vote is for the prosciutto. 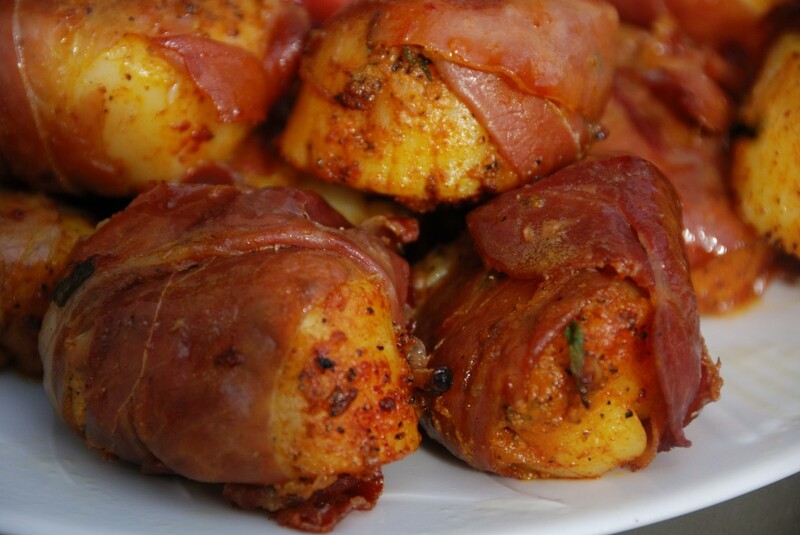 The prosciutto is not as thick as the bacon and seems to allow the scallops to cook more evenly. This option does require a watchful eye and turning the scallops in order to prevent the prosciutto from charring too much. 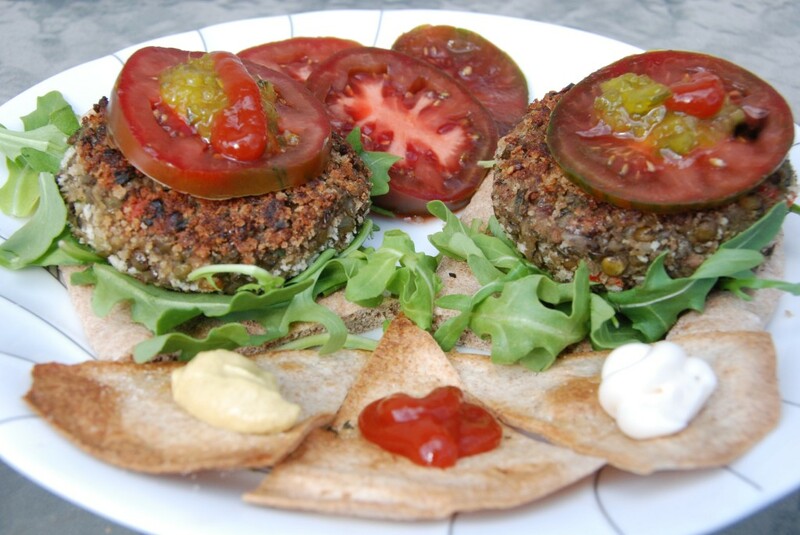 This is a recipe I sometimes use as an entrée accompanied by rice or quinoa. 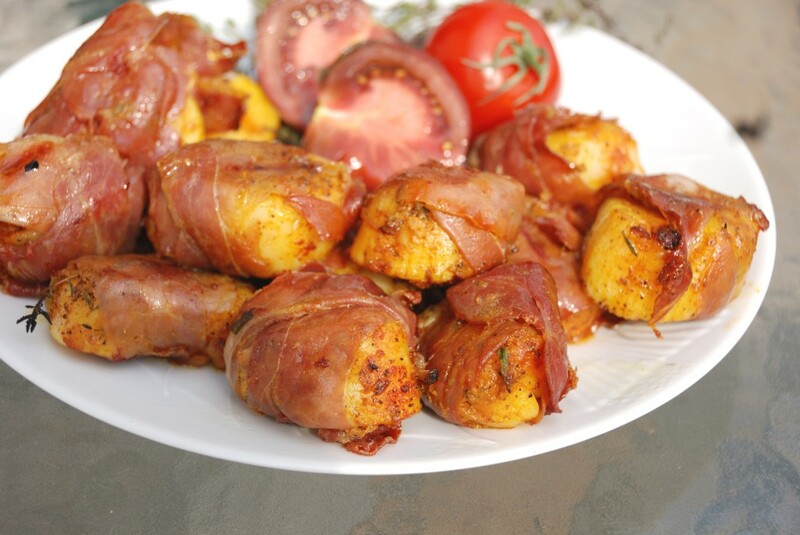 These are easy, delicious and a large batch may be assembled and grilled quickly. 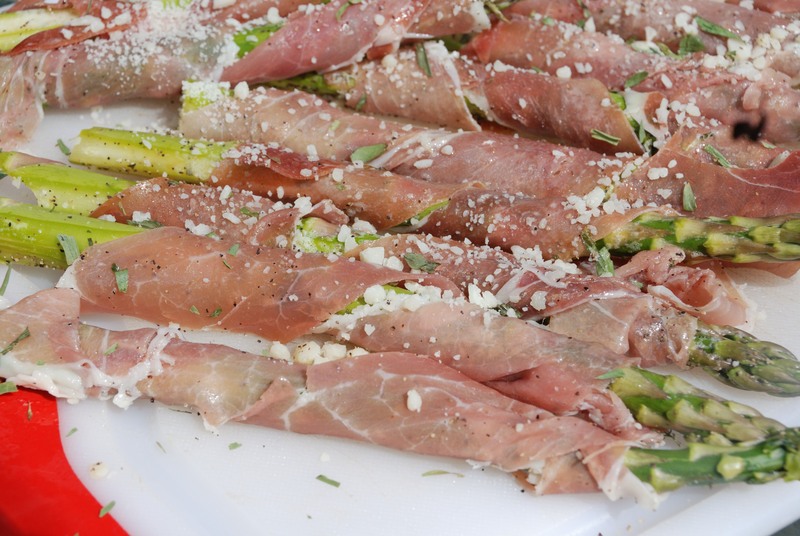 Other combinations such as beans & cheeses, chopped vegetables, diced meats…the list goes on…it all works well. Chopped figs added to this recipe provide a sweet balance to the saltiness of the cheese & prosciutto…unfortunately, an idea that came to me after the fact and is not in my recipe. I did try a few and would recommend the addition. Children (and adventurous adults) enjoy building their own. 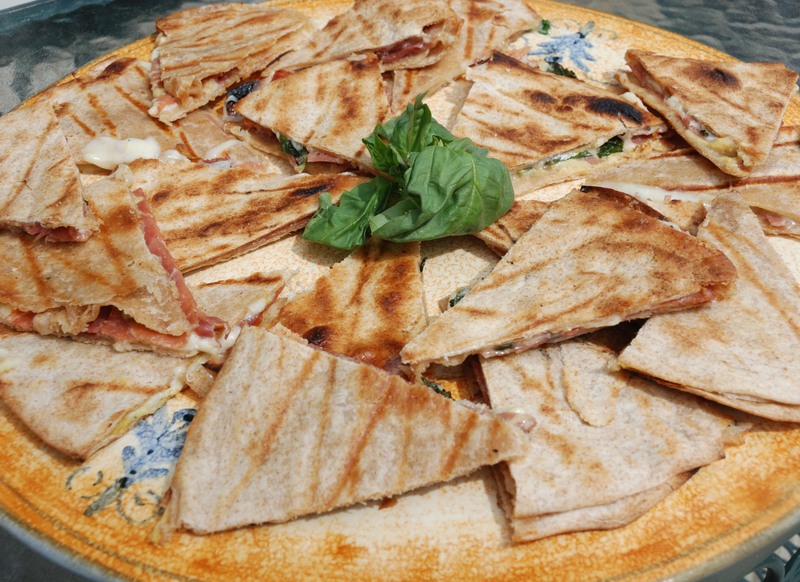 Grill them in a few minutes and instant snack or small meal… possibly an opportunity to sneak in some healthy ingredients. If you enjoy a salty, savory flavor, the grated cheese & prosciutto change up the taste of the asparagus. 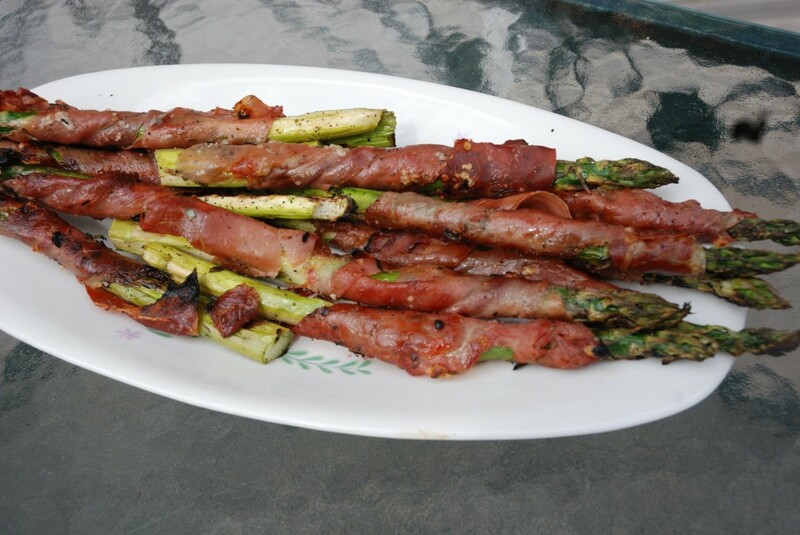 In addition to it’s role as an appetizer, this dressed up version of the asparagus works as a side for a meal…I often serve it with fish. Sunny with a Chance of Meatballs: A meatball recipe for an appetizer, a soup or an entrée. My mother-in-law was my inspiration for attempting these savory loaves of bread stuffed with meats, cheeses, spinach and an endless combination of ingredients. She could make them with her eyes closed and they were perfectly shaped and golden brown every time. It has taken me quite a few years to make a stromboli that did not look like it was growing a head on one end or exploding in some area of the dough. 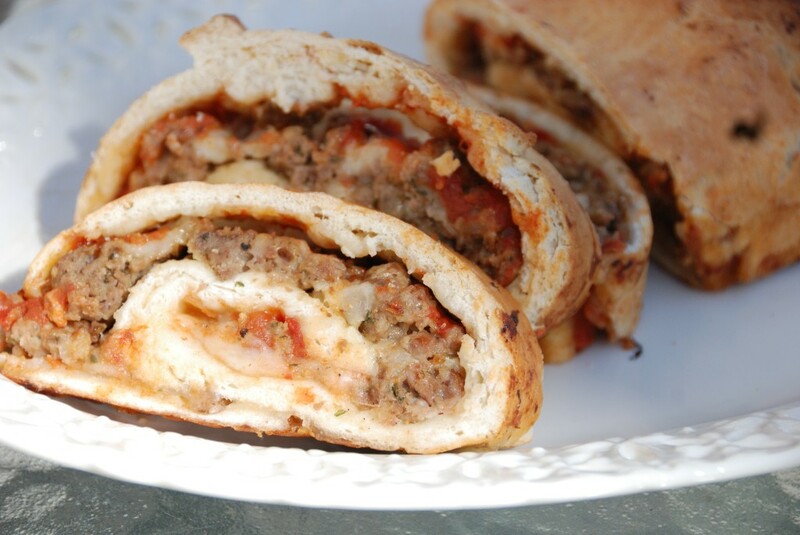 I thought that if some ingredients were good, more would be better, so I constantly over-stuffed the stromboli. I took care to have something decent looking for the photograph, although certainly not as beautiful as many I have seen. However, once sliced most of the imperfections disappear and only the memory of the first scrumptious bite remains. The wedding associated with this soup, minestra maritata (married soup), is referencing the marriage of meat and vegetables in a soup. 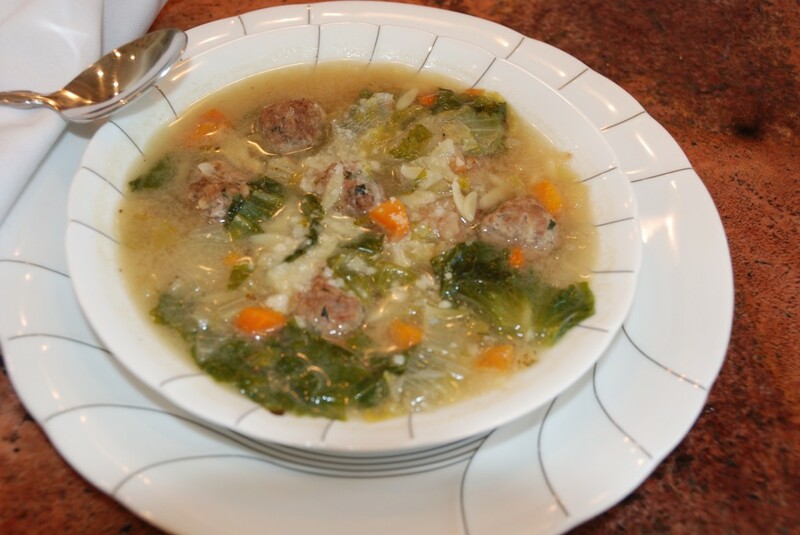 It is a soup with a broad range of recipes from a simple broth, meatballs and green leaf to a hearty combination of many meats and vegetables in one soup. Some consider the soup a tradition at weddings and a soup for December around Christmastime. It is one of my favorite soups that I’ll make for any occasion and at any time of the year. 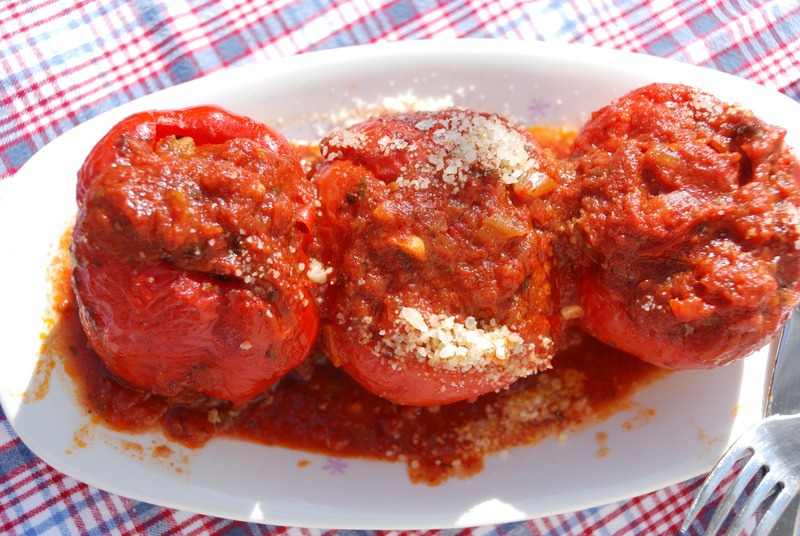 If you whip up the marinara sauce and the meatball recipes, these peppers are a cinch to make. My preference is for red bell peppers because they are sweeter than the green, but any color bell pepper is fine. These peppers are another great make ahead dish that remains delicious when reheated. The peppers are fresh tasting when I serve them as leftovers two or three days later. Reheating in a microwave works for this option.